For months, the trailers teased with snippets of the highly-anticipated, second installment in J.K. Rowling’s Fantastic Beasts series. Fantastic Beasts: The Crimes of Grindelwald, directed by David Yates and based on the characters and screenplay created by Rowling, officially debuted on Nov. 16 in the U.S. While it doesn’t quite match the first for several reasons, it has done almost as well at the box office and is a film worth seeing. The film kicks off with the escape of Gellert Grindelwald (Johnny Depp), on a mission to bring pure blood wizards to power. From there, several subplots are introduced, some involving familiar characters, and others not, making for quite the involved storyline. To really understand everything that goes down in Fantastic Beasts: The Crimes of Grindelwald, you may have to fire up the home theater and microwave some popcorn for more than one viewing. Despite the complexity of the multiple plots, there is much to enjoy: action, comedy, romance, magic, and beasts are constant throughout, embellished with marvelous special effects. Unfortunately, the sheer lack of beasts compared to the first film, Fantastic Beasts and Where to Find Them, was a bit disappointing; overall, I prefer the first to the second because of the seemingly endless cast of beastly characters. However, the beasts that did show, in this installment, particularly the Kelpie and the Zouwu, were just as stupendous, if not more so than the creatures that appeared in the preliminary. The Zouwu in particular, is a gigantic Chinese creature that escapes from the Circus Arcanus in Paris and can travel up to 1,000 miles in a day. 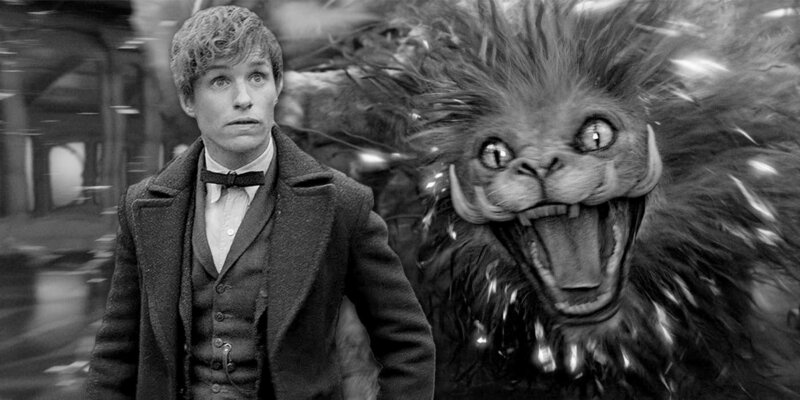 Newt Scamander (Eddie Redmayne) is able to calm the wild beast and Zouwu becomes an important character, willing to help Newt and his friends when they fall victim to the villains in the story. As mentioned earlier, plot twists abound. The reasons for Newt’s recruitment by Albus Dumbledore (Jude Law) to hinder Gellert Grindelwald’s (Johnny Depp) success, are revealed towards the end of the film in somewhat of a plot twist. The movie concludes with yet another twist that will leave fans holding their breath for a third installment in the series. It’s to be hoped that part three will tie up some enthralling loose ends left behind in the wake of Fantastic Beasts: The Crimes of Grindelwald.